Psychic trauma is one of the most frequently invoked ideas in the behavioral sciences and the humanities today. Yet bitter disputes have marked the discussion of trauma ever since it first became an issue in the 1870s, growing even more heated in recent years following official recognition of post-traumatic stress disorder (PTSD). In a book that is bound to ignite controversy, Ruth Leys investigates the history of the concept of trauma. 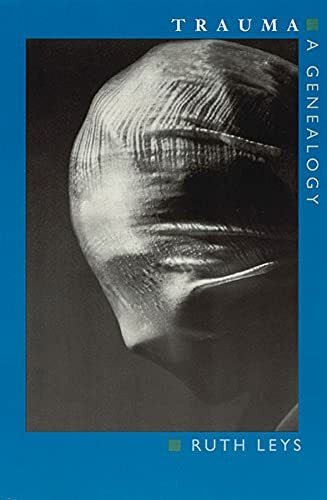 She explores the emergence of multiple personality disorder, Freud's approaches to trauma, medical responses to shellshock and combat fatigue, Sándor Ferenczi's revisions of psychoanalysis, and the mutually reinforcing, often problematic work of certain contemporary neurobiological and postmodernist theorists. Leys argues that the concept of trauma has always been fundamentally unstable, oscillating uncontrollably between two competing models, each of which tends at its limit to collapse into the other. A powerfully argued work of intellectual history, Trauma will rewrite the terms of future discussion of its subject. Ruth Leys is the Henry M. and Elizabeth P. Wiesenfeld Professor Emerita in the Humanities Center at Johns Hopkins University.